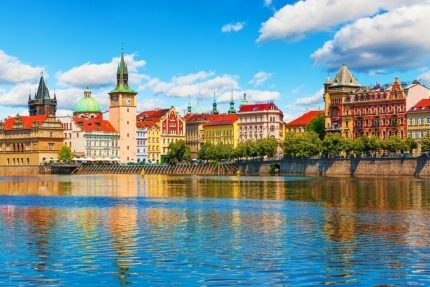 Explore the “Castles of Bohemia” on this picturesque bicycling route from Vienna in Austria to Prague in the Czech Republic through Cesky Krumlov. Immerse yourself in local culture as you take in the classical mix of Gothic, Renaissance and Baroque architectural styles. This cycling tour takes in the most romantic and stunning scenery as you gently ride over rolling hills through untouched countryside, and include the Lednice-Valtice Area, Telc, and Cesky Krumlov – all UNESCO World Heritage Sites. The days are balanced with cycling through pastoral country landscapes, wandering through cobblestone streets and appreciating age-old architecture. Explore the heart of Bohemia, its food, wine, lager, and rich cultural heritage. Some more challenging rides take you through the Bohemian Forest. End in Prague, known as the Golden City, once Europe’s trade centre.